One can hope that Samsung offers something similar here in the US, but for now, owners of the Galaxy Note 7 in Korea are getting a really great upgrade option should they stick with Samsung until next year’s Galaxy S8 or Galaxy Note 8 arrive. According to Samsung, owners of the Note 7 in Korea will be allowed to trade in their bad device for a Galaxy S7 (or S7 Edge) today on a payment plan, then upgrade to a Galaxy S8 or Note 8 when they arrive next year. There are a couple of things to unpack here. First, that’s a really solid deal if you are still comfortable with Samsung. 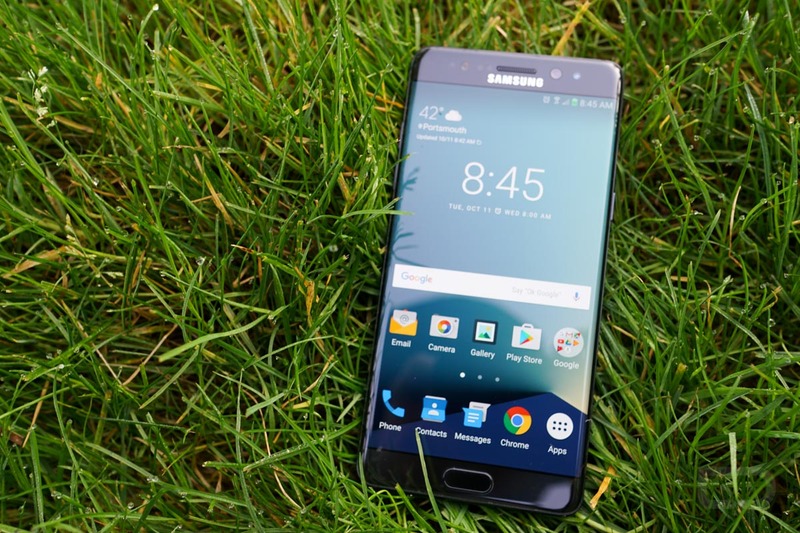 Getting rid of the Note 7 for a Galaxy S7, a phone that is still one of the best in the business, as you wait for the next big Galaxy device to arrive only to see a 50% discount on that next Galaxy, is kind of a no-brainer. The program requires customers to return their Note 7 (likely for a refund), then sign-up for a 24-month payment plan on the S7 or S7 Edge and exchange it for a Note 8 or S8 within 12 months, giving you a 50% discount on the new phone. Remember, the Galaxy S8 could be here by March and the Note 8 could show up in August. The other piece of this news that’s worth talking about is the confirmation on names or next year’s Samsung flagships. Samsung, in a press statement posted to its Korean newsroom, referred specifically to the devices as “Galaxy S8” and “Note 8.” Not that those names are surprising, but for pundits expecting Samsung to ditch the Galaxy Note brand, you lose. Samsung didn’t say if this upgrade program would arrive anywhere else.